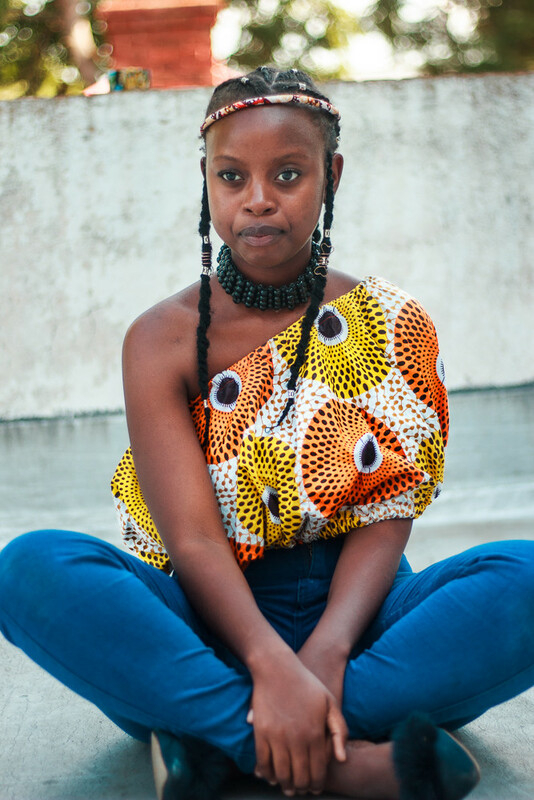 Meet 18-Year-Old Creative Designer Kundai Caryn Mangena. In recent times social media has been awash with memes ridiculing anyone born on or after the year 2000. The ‘2000s’ as they are sarcastically known, are stereotyped as a bunch of ignoramus, lazy, internet surfing, selfie taking, social media abusing and pleasure prioritizing kids not in touch with reality, the notion is that the 2000s know nothing about having a work ethic and following a passion, and this is attributed to what older generations call a decline in society due to the negatives brought about by technological advancements and social media. To a degree, these sentiments echo a tinge of truth, however in any anticipated norm, there are always the anti-theses; the ones that stand out and prove to be the exact opposite of the stereotype. This is perhaps what Kundai Caryn Mangena spot on personifies. What started off for Kundai as a love for sketching when she was just 10 years old has blossomed to noteworthy artistry. Even so, in her words, there is still room for improvement. Born 29 April, 2000 Kundai is a fashion designer perhaps the youngest known in Bulawayo and the founder of KC Designs. Kundai fondly recalls how what she calls ‘a gift from God’ started off. Kundai’s designs include an array of products from bags, sandals, hats & caps, earrings and bracelets. Her aesthetic is mainly characterized by colourfully patterned, African inspired fabrics and materials that she says are user friendly and not harsh on the environment. It is some of these designs that have won her a Summer Fashion and Style 2018 overall best designer and best bag designer awards. Writer Chris Guillebeau wrote that if “you can do one thing you can do another” and these sentiments are a reality for Kundai Caryn Mangena. To fulfill her goals to motivate young people she has founded the Heart of Hadassah Foundation and is also looking forward to collaborating with others to write motivational books. Previous articleWhere is Clive Chigubhu?